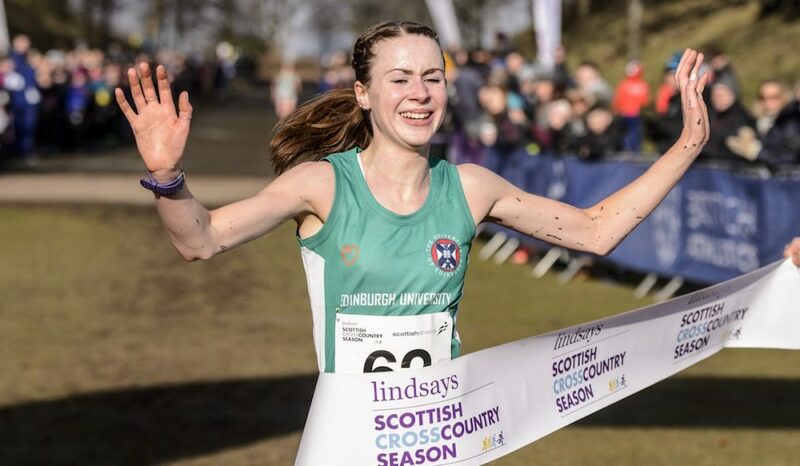 The talented Scottish endurance runner chats about her achievements so far this season, aims for the track, training, and incredibly long warm-up runs in Spain! 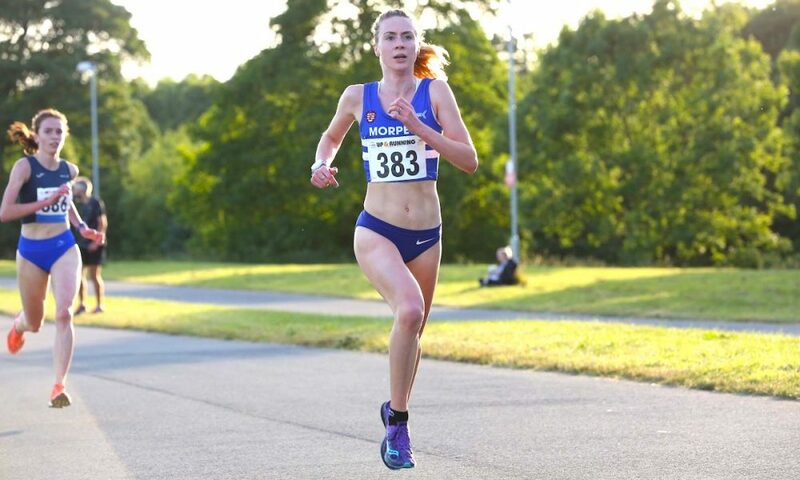 When Edinburgh Uni Hare & Hounds’ Mhairi MacLennan broke the tape at the recent Podium 5k, her winning time was not only a massive 69 second personal best, but also a validation of her big goals for this year. 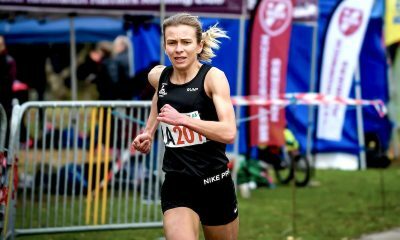 MacLennan ran 16:11 to win the sub-16:30 elite race at the Barrowford event in June, beating off stiff competition from the reigning champion, Becky Rigby, and fellow Scot, Steph Pennycook, both of whom also ran their fastest ever 5k times that night. 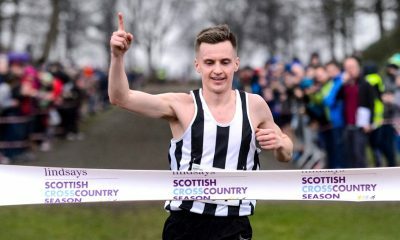 The 23 year-old is now ranked joint 10th in the UK for the 5k this year, but MacLennan has bigger goals for the rest of 2018. Considering her pre-session warm-up jogs were nearly an hour long when she spent a year training in Spain at the country’s High-Performance Centre in Madrid, the Edinburgh University student certainly has plenty of endurance behind her. MacLennan has plenty of speed too, having clocked PBs across the board this year for the mile (4:34.23), 3000m (9:32.06), 5000m (16:36.27 within a 10,000m race), 10,000m (33:28.61 at the Highgate Harriers Night of the PBs where she finished 26th), 10k (33:41 at Brighton), and 10M (56:30 at the Scottish Championships). Now she is keen to build on her success so far this year to convert her hard-earned endurance and speed into even faster times on the track this summer. We chatted to the talented Scot about her achievements so far, her training and 50-minute warm-ups in Spain. Why was she in Spain over 2015/16, what was the training like and what did she learn from her time there? “I studied Spanish and English Literature at Edinburgh University, so part of that was a year abroad in my third year,” she explains. “I was studying at Universidad Autónoma in Madrid, so I joined the local club, AD Marathon, and was put into a mid-long distance training group. It was great for my Spanish and I learned a lot about different styles of training. “We would often do those 40-50 minute warm-up jogs, which was very different to what I’d done at home. I would never do this now but it was an interesting insight to how different athletes train! MacLennan has transferred her success on the country in Spain to top class form off road in Scotland this year, following up victory at the Northern cross championships with a win at the Scottish national championships. She also enjoyed a great run at the Great Edinburgh Cross representing Great Britain, finishing first U23 in the senior event. Last year she came ninth in the U23 European Cross Country Championships in Samorin, proving her ability to compete on an international stage under pressure. So would the well-travelled athlete say cross country was her preferred discipline? “Definitely, I’ve always been a fan of the mud and the physical challenge of the hills, grass, mud and whatever else it throws at you,” she confirms. “I grew up in Inverness, in the Highlands, and experienced some very challenging courses up there which sparked my interest in running! MacLennan may have proved her speed off road at the top level, but she is now also showing her pure class on the road, winning the latest Podium 5k in 16:11. Did she have any idea of what form she was in beforehand, bearing in mind her PB was much slower going into the race, and did her victory at the Lancashire event give her confidence for further success over the distance? “Although my PB previously was 17:20, I’d not really raced the distance on the road very often,” she says. 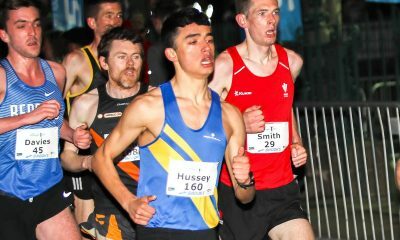 “I went through halfway at the Highgate 10,000m in 16:36 (in May), so that gave me the confidence that I could go a lot quicker over 5k. Looking at MacLennan’s soaring progress this year, it’s intriguing to find out – from a fellow runner’s point of view – how she has achieved it all. We all know consistency is key, but is there another secret to her success? “Consistency definitely, being injury-free too, and having a great training group is also important,” she reveals. “I’ve been able to put together a really consistent block of training this year, which has given me confidence over races. I’m really happy with the set-up I have in Edinburgh, at home and within my training group. The 23 year-old juggles her training with a research masters in 20th Century Spanish Women’s Writing at Edinburgh University, as well as part-time work as a receptionist and Spanish tutoring. She explains how she works alongside her coach (Lees) to ensure her training schedule is as specific to her needs as possible. “My coach and I identify goals and then plan my training to build up to those,” she says. “We discuss the training and set the specifics on a weekly basis depending on my races, my menstrual cycle and any other commitments, such as work or university deadlines. “While most weeks follow the same structure, the exact sessions may be different each week. My coach doesn’t set specific paces for sessions or easy runs, as it’s important for me to listen to my body – the effort level is more important than the pace. Tuesday PM – A grass session, with reps generally totalling 8k. My favourite, but also dreaded session is 20 x 400m with short recoveries. Sunday – Long run varying anywhere from 12-18 miles depending on the time of year and the phase of my training. So what’s next for this bright young Scot? 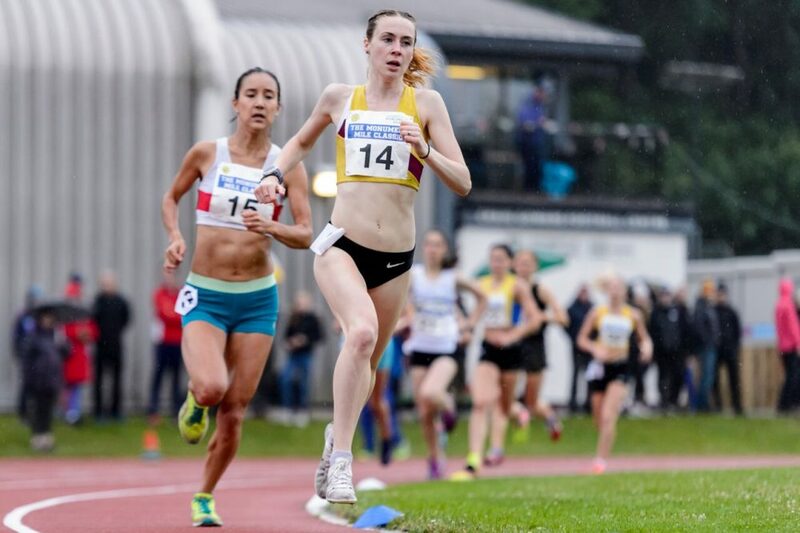 “I have the British Champs next (this weekend), and I’m also looking to getting my first senior Scottish Championships title on the track over the 5000m in August,” she says with impressive confidence. “Then I’m looking to get another solid 10,000m track race in at Ladywell in September (in Lewisham, London). The grounded Edinburgh-based athlete is all too aware that she is not a one-woman team, and professes her thanks to everyone who has helped her so far. 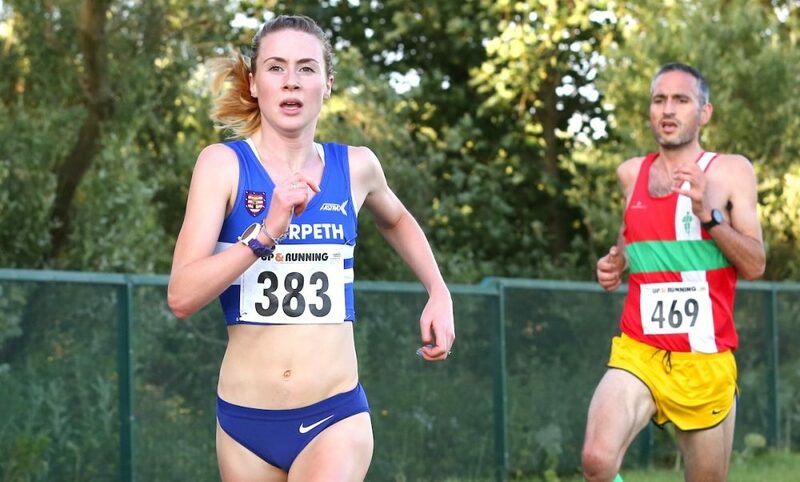 Keep your eyes peeled on this weekend’s British Championships 5000m for the girl who earned team gold in her first outing in the GB vest at last year’s European U23 cross country championships. She may well be up against the likes of fellow Scots Steph Twell and Eilish McColgan, as well as Charlotte Arter and US-based Amy-Eloise Neale, but don’t bet against her finishing in the top three at least. MacLennan is one to watch.